It's late as I type this on Sunday night (which is technically Monday morning). I've spent all weekend working on my final project for class, and I'm still not done. I expect to see the early hours again tomorrow night. Before I head off to bed for some much needed shut eye I thought I'd post this image, which by all accounts has flown around the internet many times, but somehow I only discovered it this past weekend. 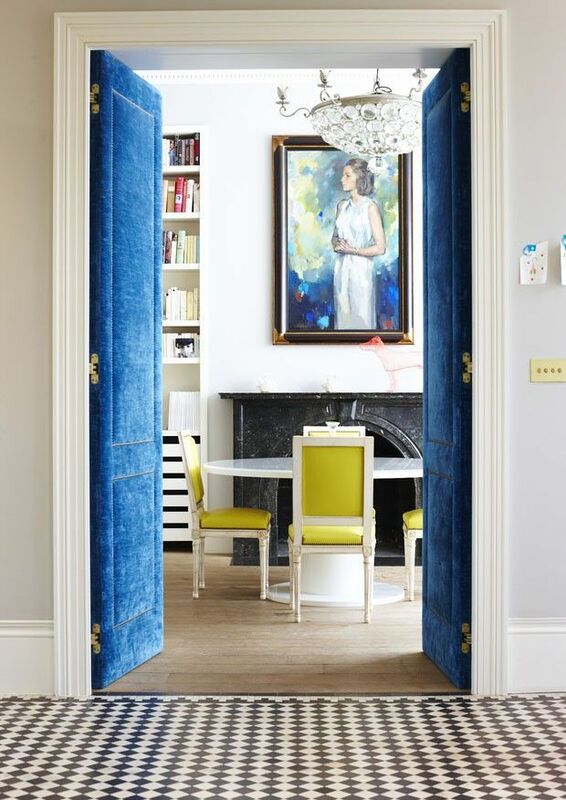 Her home has been featured a number of times in print, including in Elle Decor and Elle Decor Espana, but I found this image on the website of photographer Joanna Henderson. Had you seen Christine's home featured somewhere before? What do you think? It's beautiful especially the painting. Think I did see it in Elle Decor. The colour! The ceiling height! The floor tile! LOVE.